This pretty earring set is the perfect way to mix up your look every day of the week! 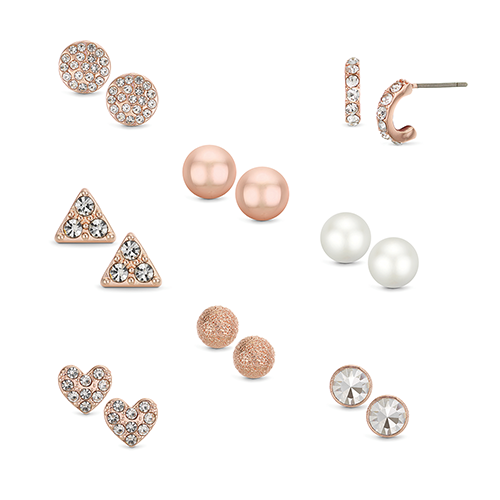 Featuring 8 fun styles in rose gold-tone with accents of shimmering crystals and smooth pearl, allowing you to effortlessly take your look from day to night. Earrings suitable for pierced ears only.